When the phone is ringing every day and the bank is threatening to foreclose your home, because you are behind on payments, it is easy to believe that the banker is drooling over the possibility of foreclosing on your home. But you should know that the bank stands to lose a lot of money if they are forced to foreclose on your home. Read this article to learn the real truth about banks and foreclosures. 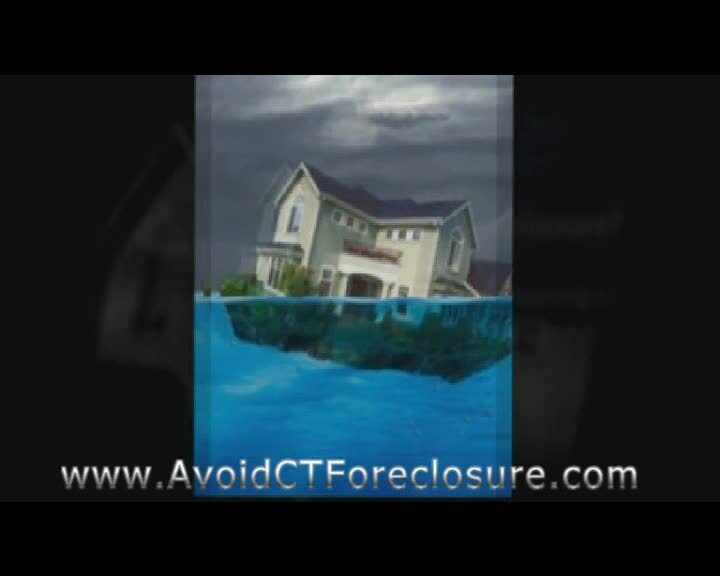 With what I have learned about banks and foreclosure over the last couple years, the information that I am about to share with you now, could have helped a few of my friends avoid losing their homes. Because I could not help them in their time of need, it is my hope that I could help you now, in your time of need. I know that my initial suggestion that “banks do not want to foreclose on your home” may seem far-fetched to you now, but by the time you have read this article in full, you will recognize that you have more power over the bank than the bank would care to admit to you. Let us suppose for the sake of this story that you paid $100,000 for your home. And let us suppose that you put a full 20% down on that home five years ago. In this scenario, your bank loaned you $80,000 to help you purchase your home, and at best, you have probably paid $10,000 towards the principle of your home loan. In the past year, you suddenly found your finances stretched for one reason or another. Perhaps you changed jobs, or your business contracted with the economy. Perhaps you had a financial emergency that required a lot of cash to solve, and now you find yourself struggling to catch up on the rest of your bills. In the end, it really does not matter the reason for your current financial crisis. It will have little bearing on the outcome of this story. This is where most people make a mistake in their understanding of the banks’ motives in threatening foreclosure. The bank is not threatening foreclosure because they want your house. The bank is threatening foreclosure, because they want to spur you to action, to fix your current financial crisis. I know you are thinking that the bank will sell your home for its full retail value, but they won’t, because they cannot afford to hold onto your house for a long period of time. In order to sell a home for full retail price, the bank would need to commit to holding the home, perhaps for years, until that perfect buyer arrives to buy it. If you force your bank to foreclose your home, your bank will put your house up for auction at a sheriff’s sale. PAY ATTENTION… this is important. When your bank puts your house up for auction, they will generally only get 35 to 40 cents on the dollar for your home. The bank is currently out 70 cents on the dollar against the retail value of your home, but if forced to auction, the best the bank can expect to get out of your home is half what the bank has invested into your home! In the scenario I have outlined here, you owe $70,000 on a $100,000 home. But if you force the bank to foreclose your home, the best the bank can hope to achieve is to get $35 to $40,000 for your home at auction. Do the math. If your bank forecloses your home, your bank will lose between $30 and $35,000, when they sell your home. Ouch! This is the key information that you will use to stop the foreclosure of your home. As you can now recognize, your bank needs you to stay in your home, more than they desire to foreclose on your home. As should now be obvious, you as the homeowner have a lot of leverage over your bank. And if you play your cards just right, you will not have to lose your home. If you find yourself behind on payments and you are looking for a way to save your home from foreclosure, you need to speak to a company like National Foreclosure Counseling Services (http://nfcscorp.com/). NFCS is a company, which can help you negotiate a repayment plan or loan modification on your behalf. When NFCS contacts your bank on your behalf, your bank knows that you are interested in taking whatever steps are necessary to get back on the straight and narrow with them. When banks realize that you are serious about staying in your home, they have to weigh the options of negotiating a loan modification or losing an average of $30,000 when they foreclose your home. If the bank has someone in a home that wants to stay in the home, then the bank stands a chance of retaining some of their profits on their original loan, if they are willing to renegotiate the terms of that loan. However, if the bank is forced to foreclose on the property, then chances are good that the bank will lose a lot of money. Think about it. Your bank does not want to foreclose your home. It is in the best interests of your bank to keep you in your home, period. National Foreclosure Counseling Services (http://nfcscorp.com/) has a proven track record (with documentation) of helping families such as yours renegotiate with their banks to help them to stay in their homes. In just the last 90 days, NFCS has helped 600 families renegotiate with their banks to avoid foreclosure. You have the power to save your home from foreclosure, if you simply decide that you want to exercise your power of self-determination. Who knows? You may have decided that you don’t want to try to hang on to your home for whatever reason. So long as you understand that a foreclosure will hurt your credit for at least ten years, perhaps preventing you from being able to buy another home, then by all means, it is your choice to accept foreclosure or not. The current real estate crisis will not last forever, and housing prices will rebound eventually. Even if you see yourself upside-down in your home now, you may just find that if you hang on to your home another five or ten years, then housing prices will bounce back and you will survive the current real estate crisis without great financial loss. But if you are like most people, you probably cannot bear the thought of losing your home and the equity you have so far built up in your home. If you desire to hang on to your home, then you alone must take that first step towards saving your home from foreclosure, then you should make it a point to get in touch with the folks at National Foreclosure Counseling Services, as shown below. If I get a 1099 from the 2nd mortgage holder after a foreclosure sale does that stop a lawsuit by them? My residence was foreclosed and sold at auction. I had a 1st and 2nd mortgage. The home was sold for a little more than what was owed on the 1st mortgage. I do not know if the 2nd mortgage holder received a dime. I contacted an attorney before the sale and he said that in his 30 years of practice he has only seen one time that the 2nd mortgage holder filed a lawsuit. I figured that since we are in a foreclosure climate they probably won’t come after me. I am now wondering if I do get the 1099 that they are forgiving the debt and that frees me from a lawsuit. It would certainly relieve some stress even though I would owe tax. it really depends on the state laws where the property is located. If there are deficiency laws in that state, do not be suprised if the 2nd goes after the full deficiency. I would call the 2nd lien holder to see what they intend to do. What is the typical amount of time it would take for the bank to begin the foreclosure process begins? Hypothetically speaking, if I stopped making my mortgage payments today, how long would it take the bank to begin the foreclosure process? I am a renter who lives in a house that is being foreclosed on. I suspect the owner rented the house to me knowing that he would soon go into foreclosure and hoped to make a profit off my living here. I moved in back in October. I got a notice on my door in February that stated the house was going to auction in one month. It seems like he’s been stringing me along ever since. Given the aforementioned time line, when would he had to have stopped paying his mortgage for the notice to show up on the door? He already admitted that he was not using my rent money to pay his mortgage and supposedly his "lawyer" (which he later said he found out wasn’t actually a lawyer) said to hold the money. He even admitted to having spent "some" (aka "all") of it. On top of it all, he has the nerve to ask me for rent this month when we both know the bank does (or very soon will) own the house. Can he actually ask for this? I’m busy trying to find a new place and save a deposit since he refuses to return mine. Anyway, inside knowledge of the process would be great, IE, someone who works for one of these banks, lenders or agents thereof. Or, if you’ve been through this? PS: Excuse the redundant language in the question – it’s been a LONG day. banks USUALLY won’t begin foreclosure until after the third missed payment, but that is just a ballpark time frame. With the housing crisis, it may be your landlord quit paying on his mortgage about the time you moved in, and personally, i’d tell him to use your deposit for the last month’s rent, and get the heck out of there–this owner is taking your money and yes, he can do with it what he chooses, but it is you who is at risk for housing. Technically, he does not have to return your deposit until after you vacate, but it sounds like he isn’t planning on returning anything to you. CYA–start looking elsewhere. Good luck. can i stop foreclosure my home in Texas if i sale my home a short sale? You cannot stop a foreclosure sale if the lender does not agree to same. Attempting a short sale MIGHT benefit the lender, as well as it might benefit you. However, if the lender involved wants to move forward with foreclosure, the only thing you can do to stop it is to pay in full what you owe. You can only ask if the lender will postpone a foreclosure if you are working toward a short sale. 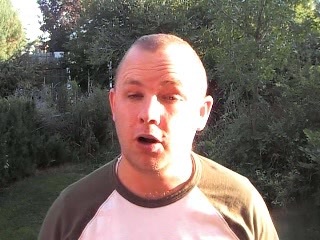 Can we declare bankrupcy to stop wage garnishment fm credit card and stop foreclosure proceedings? In short. YES FOR BOTH. Filing bankruptcy can stop a garnishment immediately. If all funds that have been garnished have been properly exempted, the garnished funds can even be returned to the debtor. When a bankruptcy is filed, a special provision of the bankruptcy code kicks in and stops all creditor action to collect a debt. The special provision of the bankruptcy code is Section 362 and is called “the Automatic Stay”. The Automatic Stay is a court order to all creditors to stop collecting debts immediately. When a paycheck or bank account is garnished, money is taken from the paycheck or other account and held until a certain time when the money is supposed to be delivered to court and turned over to the creditor. The date that the creditor is supposed to pick up the garnished funds in court is often called “the return date”. If a bankruptcy is filed before the return date set for the garnishment, the garnishment is immediately stopped and the creditor cannot continue to collect the debt through the garnishment method. An employer or bank that has been instructed to hold the garnished funds on behalf of the creditor will usually release all garnished funds to the debtor after the debtor has provided proof of bankruptcy filing. Usually, the bankruptcy attorney for the debtor will write a letter to the employer or bank and explain that the garnishment has been stopped by the filing of the bankruptcy and that the employer or bank should no longer withhold the funds from the paycheck or bank account. Once notice has been given to an employer or bank regarding the bankruptcy filing, the employer or bank will then usually send all garnished funds that have been held to the bankruptcy trustee assigned to administer the debtor’s bankruptcy case. If the debtor, or debtor’s attorney, has successfully exempted the garnished funds on the bankruptcy petition, the bankruptcy trustee will “abandon” any interest in the funds and turn the funds over to the debtor. Stopping a garnishment and recovering funds held pursuant to a garnishment can be very complicated. The process requires an expert knowledge of bankruptcy procedure and bankruptcy exemptions. Debtors should always consult with an experienced bankruptcy attorney concerning serious bankruptcy matters like stopping a garishment and recovering garnished funds. Filing a Chapter 7 bankruptcy temporarily stalls your lender’s right to foreclosure, until it gets permission to go forward with the foreclosure proceedings. However, doing so could have other very serious consequences. 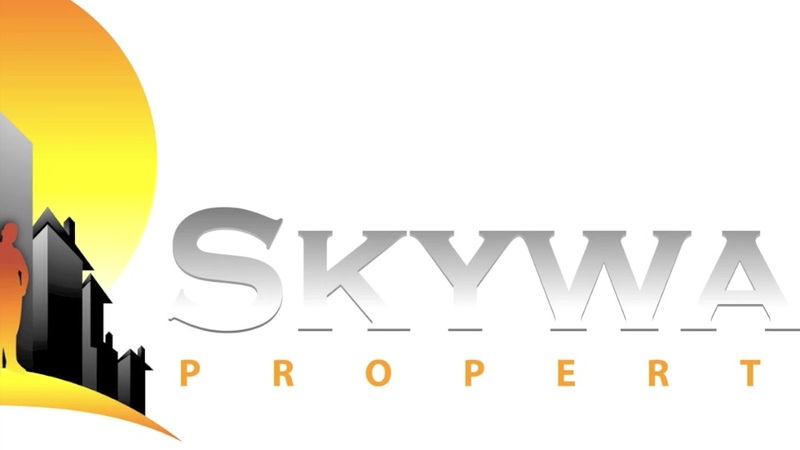 I caution you against falling for some of the schemes that have been developed that entice a homeowner who is facing foreclosure to transfer a portion of the title to his home to a third person, who then files for bankruptcy. While that may temporarily delay the foreclosure courts are getting wise to the scheme and the delay may be very temporary. Typically the homeowner pays large fees and loses his or her home anyway. Some of the people engaging in such schemes have also been charged with fraud. If bankruptcy seems to be an option, consider a Chapter 13 or "wage earner" repayment bankruptcy as an alternative to a Chapter 7 straight bankruptcy. Under a Chapter 13 plan, it is possible to make up the missed payments out of your income through the repayment plan. If you face foreclosure, bankruptcy may or may not make sense, depending on your other obligations and income sources, and the advice of an attorney will be very helpful. I truly hope this has helped. You want your foreclosure to stop fast. 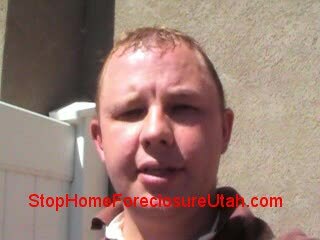 You need to watch this video to stop your foreclosure in Utah. There is a free report on How to stop foreclosure fast. Copyright 2009 Marketing Solution LLC.